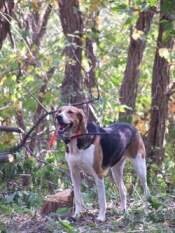 Scent hounds are hounds that primarily hunt by scent rather than sight. This dog breed is regarded as having some of the most sensitive noses among canines. 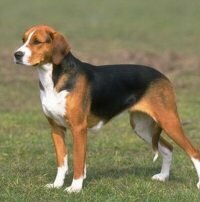 Scent hounds have historically been a rather fierce group capable of contending with wild boar, cats and wolves. In more modern times, selective breeding has resulted in some of the gentlest and most laid back personalities of the canine world. Scent hounds specialize in following a smell or scent. Most of these breeds have long drooping ears. One theory says that this trait helps to collect scent from the air and keep it near the dog's face and nose. This type of dog breed also have large nasal cavities, the better to process scent. Their typically loose, moist lips are said to assist in trapping scent particles. Most scenthounds have deep, booming voices and use them actively when running, and especially when following a scent trail. Although this can be a nuisance in settled areas, it is a valuable trait that allows the dog's handler to follow the dog or pack of dogs during a hunt even when they are out of sight. They do not need to keep prey in sight, but they need endurance so that they can stick with a scent and follow it for long distances over rough terrain. 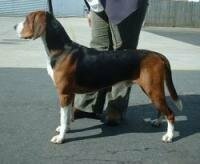 The best scent hound can follow a scent trail even across running water and even when it is several days old. They must be able to withstand all conditions found in the field. 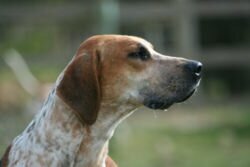 During a four hour hunt, many hounds will be swimming for most of the time, often for 20 miles or so, and any dog with a major fault in conformation could not do that. Longer-legged scenthounds ran more quickly and usually required that the hunters follow on horseback; shorter-legged hounds allowed hunters to follow on foot. Most scent hounds, even when kept as family pets, still are happiest when following a scent trail. 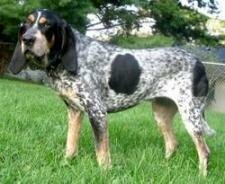 The Scenthounds consist of Bassets, the Petit Basset Griffon Vendeen, Beagles, Bloodhounds, Coonhounds, Dachshunds, Harriers, Otterhounds, Foxhounds and the Hamiltonstovare. Scenthounds have exceptional sense of smell and use this in their pursuit of game or quarry. 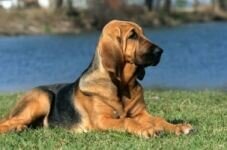 While the Basset Hounds have excellent scenting powers, the Bloodhound, has the keenest nose and greatest scenting powers in the Hound Group.